Welcome to Bear Run Log Cabins. We are located in beautiful Maggie Valley, NC which is part of the Great Smoky Mountains. Looking for the perfect quaint getaway? Look no further – we have 4 cabins available for your Mountain retreat. 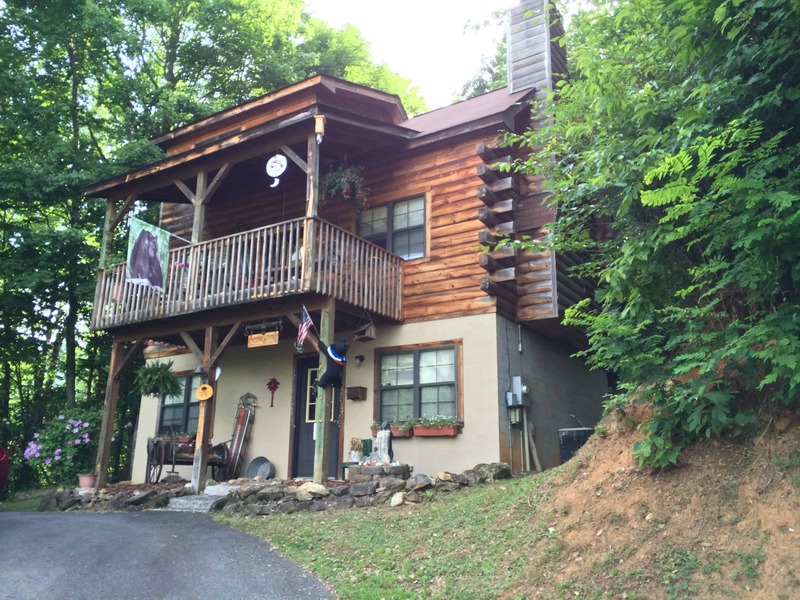 The cabins are very close to the main strip of Maggie Valley which offers restaurants, shopping and music. A few miles down the road is the famous Ghost Town theme park and Cataloochee Ski Area. Wanting to go for a hike? Only 10 minutes away you can get on the Blue Ridge Parkway and go for a drive or a nice relaxing hike. Our cabins are ideal for anything from a romantic getaway or family vacation with the kids. We take pride in the cleanliness and appearance of our cabins and grounds. When staying with us you will receive excellent service and your stay will be one to remember. Our office is located right next to the cabins so we are there for whatever your needs may be. For more information please contact us or visit our cabins page. We look forward to hearing from you.